Carr Construction, Inc. remodeling a complete home while the family was living in the home. "We wanted to make the home our own. We added the large sunroom off the kitchen, and added a new deck that connects to the three-season porch. 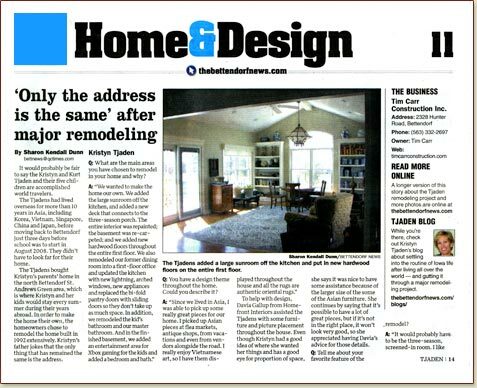 The entire interior was repainted; the basement was re-carpeted; and we added new hardwood floors throughout the entire first floor."